One woman in particular, however, decided that it was not just good enough to graduate from North, attend the University of Minnesota and graduate. “I felt obliged to come back,” said Courtney Bell. Bell, a 2007 graduate of North Community High School on Minneapolis’ North Side, is currently a social studies teacher at North High. She decided this year to focus on the sociology of W.E.B. Dubois and cultures of the African Diaspora. Previously, Bell has taught freshman history and now teaches grades 9-12. “I always felt some kind of way that being a student in an urban high school that was predominantly Black, we didn’t get what we deserved,” Bell told the MSR. “Whether [due to] a lack of resources, attention paid, or qualified teachers, we always got the short end of the stick. This issue motivated Bell to major in sociology. “This helped me to put labels around these injustices and understand how the inequities were formed,” Bell recalled. The final career choice did not come about without a few changes. “As a first generation college student, my first choice was business,” said Bell in an attempt to enter a lucrative financial career. “I had no knowledge of majors, or what they were. During her senior year of college, she applied for Teach for America, got to the final round, and was not selected. “That was heartbreaking because I really wanted to be a teacher,” Bell recalled. She was, however, accepted in the master’s program in public policy at the U of M Hubert Humphrey School, and later enrolled in the master’s program in education admissions, which started in fall of 2012, giving Bell a year off. During that year she started applying for positions with the Minneapolis Public Schools and landed a behavior dean position at North High for the 2012-2013 school year. “I fell in love with the young people,” Bell said. “I still encountered the education inequality that I felt as a student. That propelled me to look into the Masters of Education Social Studies Teaching program in 2013,” which she finished in spring 2014. She was hired as a social studies teacher at North that same year. “It’s about building relationships,” Bell stated. “As a teacher, you spend time with these children for seven to eight hours a day. You are partly an additional parent, a part of the village. If one does not know who you are or where you stand, they could care less about what you’re going to teach them. 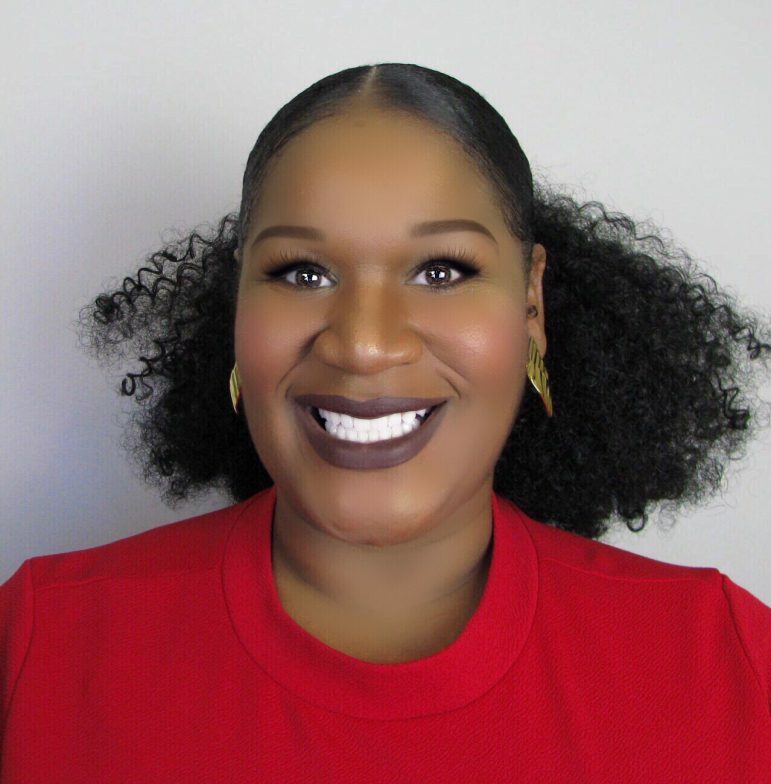 Bell is currently working on her doctorate in education and continues her K-12 education career, in addition to possibly becoming a college professor. Her work has certainly not gone unnoticed – she was recently selected as one of 12 finalists for Minnesota Teacher of the Year 2018. The competition started with about 170 teachers nominated from across the state. Of those nominated, the selection panel of former teachers and community leaders narrowed the field to 43 semi-finalists. The semi-finalists were then asked to make a video answering the question, “What is educational equity, and how does it affect teachers and students?” The 12 finalists also went through 30-minute interviews with the selection panel. The final selection was announced at the reception on Sunday, May 6. “I always tell my scholars, the North Side made me,” said Bell. “Don’t ever feel like you are at a deficit because you grow up in poverty. Growing up in poverty is a level of training one gets that will make you the most grateful, empathetic and hardworking person ever.